The recent heatwave in the UK prove that businesses must take greater care when using water to avoid substantial water waste on the premises. In the Carbon Disclosure Project, nearly 70% of businesses noted that they were concerned about water availability, and the lack of water at any time could pose a serious threat to business operations and profits. Understanding that saving water is the responsibility of everyone on the planet and on the workforce is also necessary. Saving water on commercial premises can be a difficult battle if you do not monitor how and where water is wasted. Consider these tips to reduce your commercial water bill, fight water waste, and ensure your staff consciously contributes to the cause. The first step that a business should take in saving water is to determine how much water is used, and how it is being used on a daily basis. Reading the water meter regularly and recording the data provides valuable insights into water usage and possible waste. Raising efficiency in the areas where water is excessively used reduces energy costs and amplifies the positive effects of water efficient upgrades on site. Many areas in a facility may have a simple solution, while other units may require complicated procedures and equipment to repair. Whether the water is being used for any commercial or private purpose, excessive water use is often the result of habit. Increasing the awareness of managers, employers, and contractors to the amount of water that is used for various activities in the workplace is key. A highly wasteful, yet common practice is to leave a tap running during the cleaning and rinsing process. Surprisingly, one large tap can have a flow of up to 40 litres a minute. It is easy to imagine how much water is wasted in a single day's time by unattended machines and negligent workers. 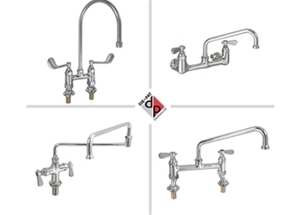 Spray heads used in sinks throughout the facility should fit snugly, and flow restrictors can be installed to decrease the maximum flow of each faucet. Installing taps that automatically shut off is an excellent option as well. Choose trigger-operated pre rinse units to reduce water waste at industrial, manufacturing, and catering facilities. Not only can high water pressure increase water consumption, but it increases the odds of leaks appearing in pipelines and taps and stresses the distribution system. According to WRAP, the minimum pressure and flow requirements for the mains water supply is usually operated at pressures between 2 and 4 bar (200 and 400kPa). Installing pressure reducing valves can control the water pressure on incoming mains and in the distribution system. A single leaky tap at your establishment may be costing you hundreds of pounds a year, but more than one leak can lead to exorbitant expenses due to high volume water waste. Encourage employees to completely turn off taps to reduce leakage later. Consider placing vivid signs as a reminder on the premises in catering facilities, washrooms, and other places where water is used or using knee operated wash basins with automatic shut off valves. In addition, encourage your staff to report all water leaks that are discovered. If your organisation operates mainly during the day, you can run a night flow test to determine if there is any leakage on the property. Simply read and record the data on your water meter after the last employee has left, and then check the meter again in the morning before anyone begins work on the following day. If the meter readings are not almost identical, you likely have a leak on the premises. 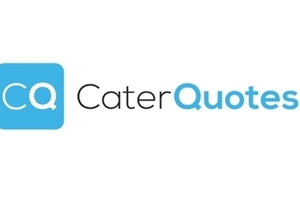 Caterers in the UK and businesses that have any sort of catering facility are often in critical need of water reduction measures. The manner in which your facilities operate on a daily basis will affect how much water is conserved, or wasted, on site. Frozen foods should be allowed to defrost naturally instead of using running water for an extended period. To do so, pre-planning for the amount of food that must be thawed for use later (or on the following day) is environmentally wise. 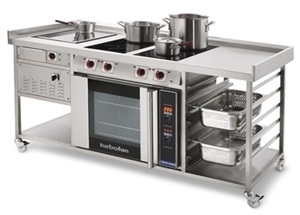 Purchasing catering equipment that is up-to-date and water efficient can reduce water consumption rates. Automatic catering equipment and unaware workers can waste water at an astonishing rate. Using a solenoid-operated valve is a simple way to ensure that your crew is only using water when a machine is in use. Check to determine if your steamers are operating effectively, and reduce the overflow on ice machines if necessary. Adjusting the flow of water used in automatic potato peelers, wok and noodle cookers also helps. Some modern catering facilities have channels where water constantly flows through them. Switching the flow of water on and off, or using a food waste disposal channel with infrared sensors decreases water consumption. Where possible, using a single disposal channel can save more water than having to monitor multiple disposal channels with running streams. An alternative method of food disposal is to use waste bins instead. Holding mesh baskets over the sink to allow the passage of fluids through while preventing food from going down the drain reduces water waste and keeps pipes clearer. Washing machines can waste major amounts of water in a facility. Dishwashers and clothing washers can consume tons of water quickly. Washers of any type should be fully loaded before starting each cycle to reduce water waste. Avoid using the half-load cycle, as it actually uses more than half of the water and energy necessary to operate a full load on the same machine. When you invest in washing equipment of any kind for your business, use models that are water efficient. All staff members who operate the machines should use the optimum settings and maintenance on warewashers that lowers the water bill consistently. Replacing old washers with new appliances that minimize water use leads to greater cost-effective improvements in business operations. If you want to reduce the amount of water that employees use on-site, you should install tap aerators. Tap aerators increase water efficiency by reducing the amount of water that is released through any taps. A tap aerator is a simple, small device that locks onto the faucet. The tap aerator injects air into the stream of water. It is quite effective, as the majority of people do not even notice a significant difference in the flow of water from the faucet. Installing tap aerators in washrooms on site automatically leads to greater savings. The beauty of the tap aerator is that their use can reduce water consumption in your facilities by up to 50%. A single tap aerator can be as low as £3. On a monthly basis, a business can save hundreds, or even thousands of pounds on water, depending on the industry of operation. Rainwater harvesting is a method of collecting rainwater from roofs and rivers to use for a specialized purpose. The rainwater is then stored in a reservoir or tank for future use. This type of water is recommended only in situations where the water is not for drinking, such as in agriculture and gardening. Some manufacturers may also use this method on a commercial site to cool products and limit the use of clean water. Businesses that are interested in this method can consult a specialist for the creation of a rainwater harvesting system on site. Toilet flushing can easily encompass nearly a third of water consumption on your site. If the urinals on your site have no flush control, water will be used out of hours. Installing low-flow toilets at your facility can heavily reduce the amount of water used by the entire staff. Ultra-low flow toilets can cut water consumption by over 50%. Maintenance can be a complex endeavor for any business owner, especially if you are responsible for a large building, or multiple buildings. Worn-out pipes or other weak zones in the pipeline infrastructure can spring a hidden link that racks up your organisation’s utility bill. Hiring a commercial plumber to perform semi-annual inspections and leak detection in your facility can help you raise water efficiency and lower the odds of water waste from faulty or failing equipment. It is critical that all equipment is installed correctly by a professional, or it may increase water use consequently. Taking significant steps reduce water use saves money and conserves water for everyone in the UK. It is the combination of water efficient upgrades and the responsibility of managers and employees to reduce water consumption while finishing each work task up to standard. No matter how large your business and staff is, choosing only water efficient equipment, cookware, hardware, and plumbing components in your facility is an excellent way of reducing costs and helping the environment. To save additional capital, your business may also be eligible for tax breaks for using water efficient equipment. Water efficient technologies are highly encouraged for use in the UK to reduce water waste throughout the country. Under the Enhanced Capital Allowance (ECA) scheme, your business can receive tax allowances for utilizing water reduction technologies included on the Water Technology List (WTL). The ECA enables businesses to write off 100% of the cost on qualifying plants and machinery for the first year against taxable profits. Making the decision as a business owner to conserve water and reduce water waste is a noble act that changes the course of the future, one drop at a time.